Haoshi, a tiny Taiwanese design collective, specialises in modelling birds and animals. Hao Shi means 'Good Things'. 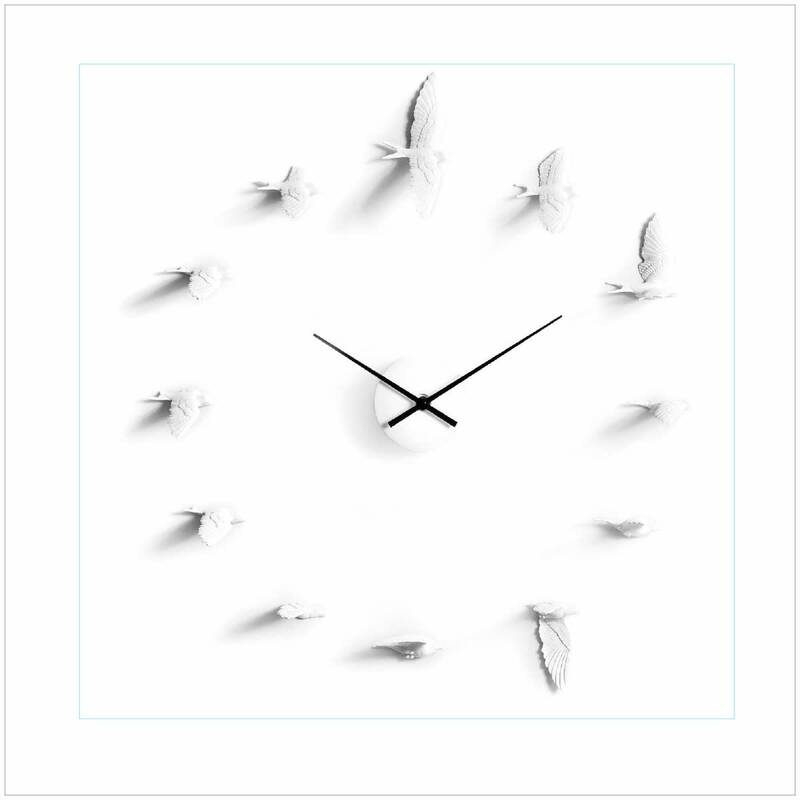 The wonderful Swallow Clock is a dramatic device twelve finely detailed, resin cast swallows that fly in formation across a wall. Installation: Assembly is positioned by means of a paper template. Mechanism hangs from screw in wall. Birds glue to the wall by means of provided sticky pads. PS. AA 1.5v battery required.